Hard Cover, 256 pages, 9 x 12. 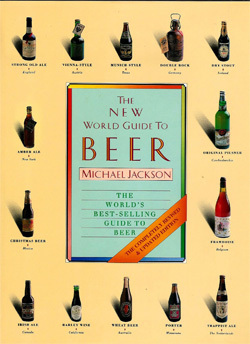 This is Michael Jackson's masterpiece -- and the world's all-time best-selling guide to beer. Many a beer aficionado cite this book as the volume that first drew them into the fascinating and colorful world of beer. It is an absolutely riveting examination of brewing in various parts of the world -- history, culture, contemporary styles, etc. Lavishly illustrated with hundreds of large color photographs and illustrations, the book actually transports the reader around the globe for an exciting tour of beer and brewing narrated by the world authority on beer, Michael Jackson. Simply spectacular!